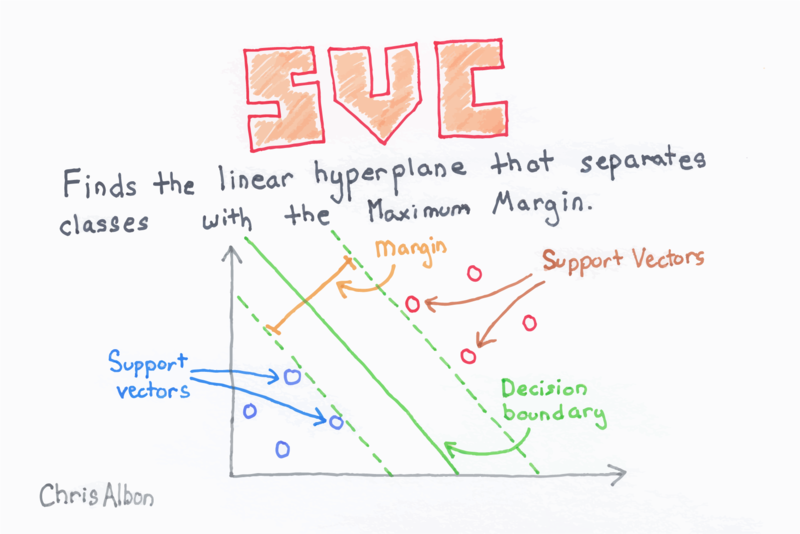 There is a balance between SVC maximizing the margin of the hyperplane and minimizing the misclassification. In SVC, the later is controlled with the hyperparameter $C$, the penalty imposed on errors. C is a parameter of the SVC learner and is the penalty for misclassifying a data point. When C is small, the classifier is okay with misclassified data points (high bias but low variance). When C is large, the classifier is heavily penalized for misclassified data and therefore bends over backwards avoid any misclassified data points (low bias but high variance). In scikit-learn, $C$ is determined by the parameter C and defaults to C=1.0. We should treat $C$ has a hyperparameter of our learning algorithm which we tune using model selection techniques.